Would you be interested in a career coaching athletes not physically but mentally? At what level would a sports psychology salary be attractive for you? Not everyone involved in making champions are focused on the physical aspect. In this day and age when competition is at the highest level, mental conditioning is a key ingredient towards victory. At the rate athletes, both amateur and professional, are training these days it’s not uncommon to find a sports psychologist as part of their team. Yes, if you want to make champions, you need to take care of both the mind and body of every athlete. And studies have shown that winning, in any endeavor, is as much a mental exercise as it is physical. So if you’re interested in both sports and the workings of the human mind, you should consider a masters in sports psychology degree. It’s a relatively new specialization, but people are catching on with it’s importance. So what’s your role in training to give you a sports psychology salary of at least $45,000 at entry level? 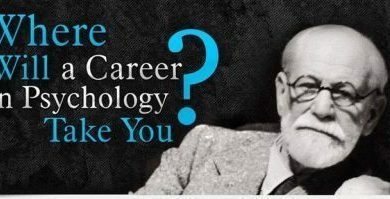 Just to make it clear, you need a minimum of masters in psychology degree to get the job. On the positive, it’s to inspire and motivate sportsmen in order to enhance their performance. That means understanding how psychology can be applied to improve each athlete’s game. On the other side, it is to treat players who may be facing rough patches in their life, outside of sports, that hinders their performance. These situations include problems in relationships, family, finances, or even when trying to recover from injuries. Some describe the role of sports psychologists as two-fold: working with athletes to prepare them psychologically for competition, and working to help them deal with the psychological effects of competition. And unless you also serve as coach, which is one of the careers you can pursue, it’s also part of your job to educate coaches on how best to enhance their team or player’s psychological state for them to work cohesively as a unit out to win. It’s partly a cheerleader role, while applying psychological principles to ensure peak performance. You can also choose to work outside of the sports setting, because making people understand how sports and athletics can improve not only mental health but a person’s overall well-being, is very important given how stressful life is today. Does a salary between $45,000 to $80,000 sound good enough? Salaries will vary depending on your position and workplace. Working in universities, as counselor or mental coach, or as teachers, you can expect a sports psychology salary of at least $55,000. Find a job with professional sports teams, and you can raise that up to $71,880. For many sports psychologists working as consultants or who are self-employed, they do enjoy a comfortable salary since they can take on several clients simultaneously. Some sports psychologists working with elite athletes report making six figures annually. You do have other options with a sports psychology degree. With a masters on hand, hospitals, athletic centers, fitness clubs, sports camps and government and private entities engaged in wellness campaigns will need your services. But since only a few schools offer sports psychology graduate programs, you can enroll in other psychology degrees, and concentrate your electives on this particular field. Better yet, participate in as many seminars and workshops dealing with sports psychology to enhance your studies. A strong foundation in general psychology in combination with sports psychology internships will make you a well-rounded professional later. With some experience, and continuous education, you can earn a doctorate in this field, get a license and increase your sports psychology salary further.